Another year is nearly over and we’re currently in that weird week between Christmas and New Year where you don’t really know what to do with yourself or what day it even is. I’m failing miserably at getting back on the Slimming bandwagon but desperate to get back on the yoga train as I literally hurt everywhere! I think the food side I can slowly work on as I clear the crap food from the house and start to refill my fruit bowl with actual fruit instead of chocolate oranges and the pile of sweets that it is currently housing. The exercise part is going to start again today though; I am adamant about that. What I am thinking about this week though is the year ahead and what I plan to do this year. My blog has been quite a success so far and my Instagram page is still gaining followers daily so I know I’m not going to change what I’m doing with them overall but I do feel I could do more. I do have a normal job so of course everything I do with the blog etc. has to be worked in around that and my family. This year I turned down an opportunity to get paid for my Instagram posts and I think that was a really good decision on my behalf. I wouldn’t have been paid enough to give up work and what they expected me to do was just too much. On doing this though, it has made me realise, I need better planning if I want the blog to grow. 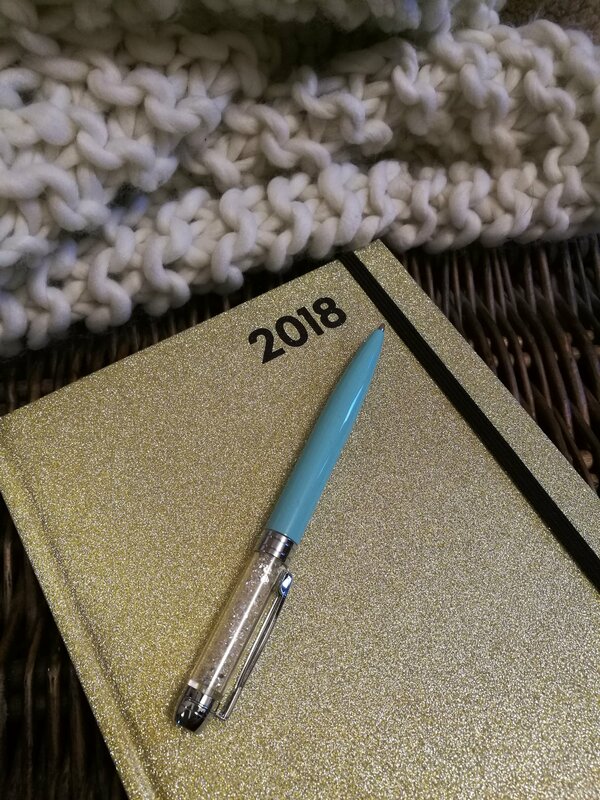 I have bought myself a nice new glittery diary and I am actually going to “work” on posts this year along with trying to build my Facebook page as I’ve barely touched that since I set it up. I would like to go in a slightly different direction with everything this year. My main focus will of course still be food and beauty but I want to work in some BOPO (body positivity) and self-focus/love. Losing weight is challenging mentally at times and can become obsessive in some senses. I’m at target and have still had times where I feel bad for eating. I want to stop that and hopefully help others to stop doing that too. I might be making a rod for my own back there but I do think that finding a balance between dieting and living is a hard thing to do. Anyway, I hope you all enjoy whatever you are doing in this weird week and I will be back posting in 2018 (unless something else magical happens in the meantime, which is doubtful while lying on the sofa in leggings and a sweatshirt with a pot of pringles glued to my palm) with lots of food, BOPO, and beauty posts all planned out (we hope).